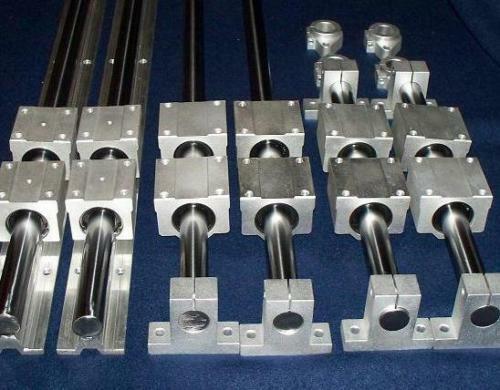 We carry linear bearings with shaft sizes from 6mm to 20mm in diameter and lengths from 300mm to 1500mm. We also have shafts with supports that use split pillow block bearings for extra support. Please excuse 'the mess' we are still organizing things around here, including photos for all of our products.